Having technology in the classroom is no longer a debate, it’s a given. Schools that have not yet implemented a solution to support mobile devices like iPads in the classroom are feeling increasing pressure to put into action programs like BYOD and 1:1. Studies show by as early as 2018 digital instruction could very well replace traditional printed methods. iPads are at the forefront of this classroom technology revolution and have swept the nation since their release in 2010. 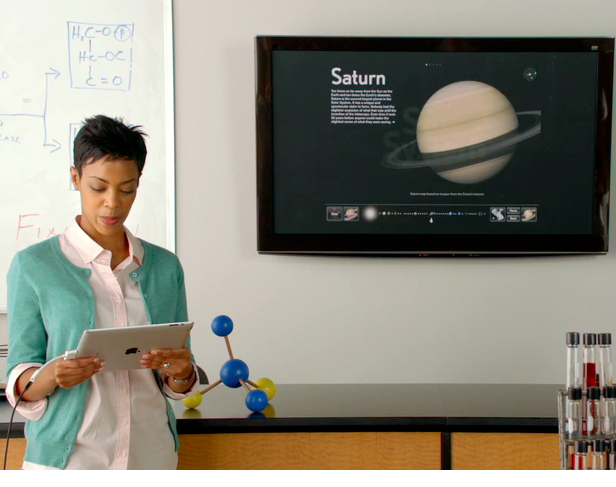 Apple has been pushing for iPads in education and schools all across the US have taken up the charge. 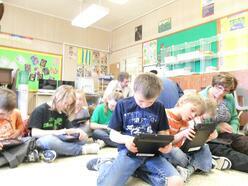 Some districts are buying iPads for every student, even kindergarteners. While the decision to supply all these students with iPads has left students grinning ear to ear, there are still some skeptics. I mean I can understand their concern about providing $500 devices to little ones that can’t even tie their own shoes yet. Many worry these mobile devices are being oversold without enough planning. Schools need to make sure they are fully prepared for the iPad rollout and that includes having a plan for how to use the iPads in the classroom. Here are some tips and ideas on how to use the great gadgets in the classroom. Interact with Students - Obviously educators can use iPads to email and message students, but there are other ways they can be used as ways to interact with students. Teachers can use them to collect work from students, start group conversations online, conduct polls, instant pop quizzes during lectures, host game shows, etc. These are the tools today’s students are using to communicate and interact with each other, so it only makes sense for teachers to take advantage of that interest and use them too. Create Educational Content - There are tons of really cool apps available out there like Educreations and VideoScribe HD that allow teachers to create custom multimedia content for lessons. Students are excited and engaged with these types of things like animated videos, cartoons, and other multimedia creations. Learn - “Those of us who aim to lead learning must be ourselves Chief Learners in order to be Chiefs of Learning”- Jonathan Martin Teachers need to keep learning to be the best educators they can be and the iPad makes that much easier. Not only are the iPads great tools for students, but they make learning as educators much more convenient and easy. Grading and Keeping up with Students’ Work - The iPad makes all those tasks like grading, keeping notes, tracking progress, collecting assignments, and taking attendance a cinch. All of this can be done on the iPad quicker and easier than ever before. Instead of hauling around a bunch of papers, notepads, and notebooks, educators can use a variety of apps like ForAllRubrics and Evernote to help do all these tasks a lot more efficiently. Manage the Classroom - Some teachers think they won’t have control with all these iPads in the classroom, but that not true. 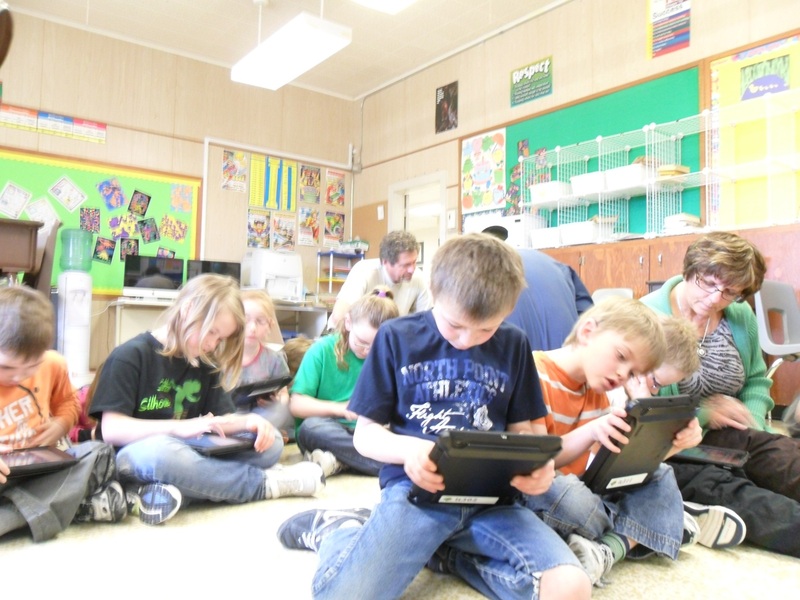 Teachers can use iPads to actually effectively manage the classroom. They can randomly select students work to display on the big screen, display messages, note behavior, and much, much more. These are just some of the ways to use iPads in the classroom. The possibilities are limitless; just make sure there is a plan in place for how they will be used. Of course you want to take advantage of everything these great mobile devices have to offer. 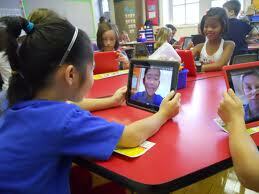 If your school is considering implementing iPads in the classroom and you have any questions just contact us here. We are experts and can help with all the planning necessary to implement a successful solution. We are always happy to help! Good luck!